A lights-and-sounds learning extravaganza!Turn up the sounds of learning fun with the Learn & Groove Musical Bilingual Table in English and Spanish! 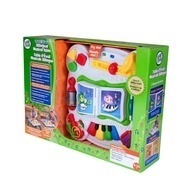 - Colorful instruments and buttons activate a variety of 70+ songs, tunes, and learning responses. 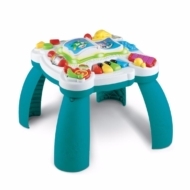 - Remove the legs for floor play, then replace them when your baby is ready to stand or cruise! 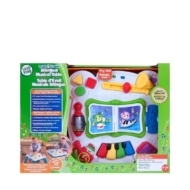 - Explores sounds, songs and instruments such as the piano and drum. 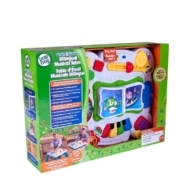 - Includes classic children's tunes such as “Old MacDonald" and “Itsy Bitsy Spider."